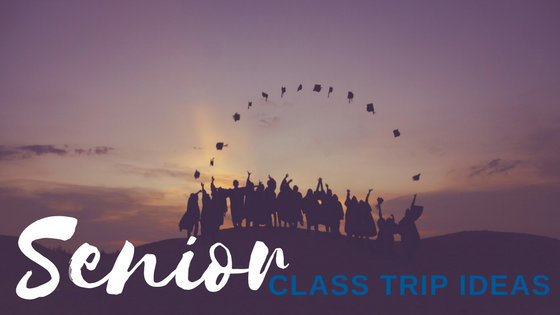 Planning a high school senior class trip can be a daunting task but Indian Trails has decades of experience transporting classes to some really fun and entertaining venues nationwide. Here are five ideas from our travel gurus that are sure to be exciting, educational and just plain fun for your students. Detroit is again a bustling center of arts, culture and sophistication yet retains a presence steeped in the history of our state and our nation. Starting with the latter, The Henry Ford is a 250-acre extravaganza of American innovation showcasing 300 years of history, 26 million artifacts and is deemed “One of the country’s best museums” by Conde Nast. Other must-see places include the beloved Detroit Institute of Arts (DIA) — among the top 10 museums in the U.S., the Charles H. Wright Museum of African-American History — the world’s largest dedicated African-American museum, the Museum of Contemporary Art Detroit (MOCAD) on the cutting-edge of today’s artistic movements, and the Arab American National Museum, the only one of it’s kind in the entire country. For a little change, your group can take in a Tiger baseball game, visit the extraordinary Eastern Market for goodies and souvenirs, or step into a world of fantastic flora at the Anna Scripps Whitcomb Conservatory, home of one of the nation’s largest orchid collections. Detroit has plenty of great places to stay, eat and wander too, so check out VisitDetroit.com and have a great trip! Chicago is one of the nation’s most loved cities and Navy Pier is one of the cities most visited and revisited places. A combination of educational and entertainment venues, Navy Pier truly does offer something for everyone all in one place. As home of the world’s first Ferris wheel, which debuted at the 1893 Chicago World’s Fair, students can take a joy ride on the new Centennial Wheel, then enjoy a performance of the Chicago Shakespeare Theater (CST), or maybe take in a concert at the Pier Stages, the Polk Bros. Park Performance Lawns, or the always-popular Miller Lite Beer Garden, open to all ages and offering a food extravaganza in a lakeside setting. Other attractions to consider for your itinerary are the AMC Navy Pier IMAX Theatre, public art and historical displays, and you will want to plan your Navy Pier trip for a day with fireworks to top off your visit. Find out more and get planning at navypier.org. New York City (NYC) is home to so much that makes our country what it is, but it’s architectural history is among the most diverse and exciting in the world. From the upper west side to lower Manhattan there is so much architecture to see and enjoy it will be hard to choose where to spend your trip, but bridges, churches and synagogues, skyscrapers, theatres, museums, and monuments are everywhere you turn. Of course, there are several not-to-be missed structures including Ellis Island and the Statue of Liberty, the New York City Library, Grand Central Station, the absolutely breathtaking World Trade Center Transportation Hub, the Brooklyn Bridge (need I say more? ), the Flat Iron Building, and Trinity Church, built in 1846, it was once the tallest building in NYC, and survived the Sept. 11 attacks while others around it fell. And the city has literally thousands of hotel and restaurant options to make your trip perfect! Get an official visitor’s guide and set the wheels in motion. Philadelphia was the place where many of our country’s most epic events occurred as we grew from a British colony into an independent nation. Today many of the places those events occurred have been preserved as American icons and are open to the public. While history in a classroom can be boring, walking the same cobblestone streets as Benjamin Franklin, Betsey Ross, and all the signers of our Constitution will make it a good bit more awe inspiring! From Independence National Historical Park and “America’s most historic square mile” to the National Constitution Center to the Philadelphia Museum of Art on the banks of Schuylkill River, the history of the United States is alive and well in the City of Brotherly Love and embraces all who visit. The itinerary possibilities are many so check out PHLCVB for tons of information to make your class trip one of the best. There are so many possibilities for senior class trips but only one charter bus company that’s good to go no matter where — Indian Trails. Download our “Complete Guide to Booking a Bus” with all the information you need to help you choose the right charter company for your group, and click below to get a quote for your trip! Want some more group trip ideas? We've got plenty!